Bogota (AFP) - Colombia will stop air raids on Marxist FARC rebels for a month, President Juan Manuel Santos announced -- a major stride in a peace process aimed at ending Latin America's longest-running civil war. Peace talks have been under way since 2012 but the president's gesture was an unprecedented step towards ending the conflict, which has killed more than 200,000 people and uprooted more than five million. 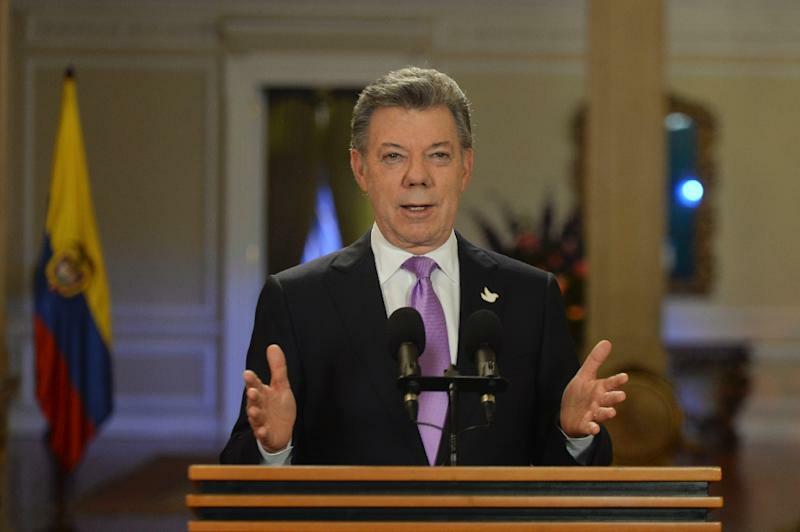 "To start the de-escalation of the conflict, I have decided to order the minister of defense and armed forces commanders to stop bombing raids on FARC camps for a month," Santos said late Tuesday in a television address. The FARC declared an indefinite, unilateral ceasefire on December 18, but Santos had until now refused to reciprocate without a definitive peace deal. 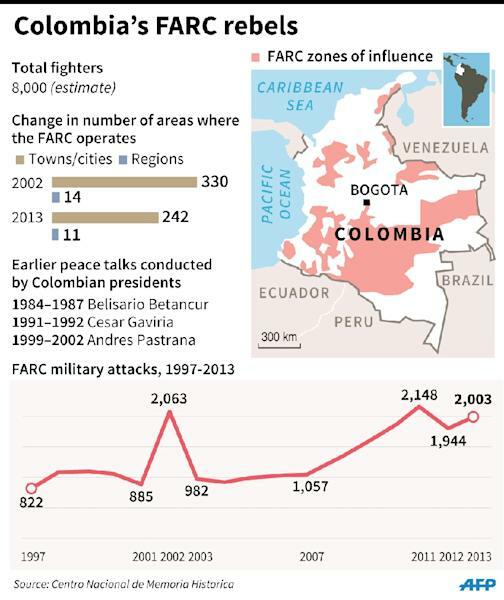 "As far as the FARC's unilateral ceasefire... one has to acknowledge that they have been complying," Santos said. Air raids are the government forces' main strategy for taking out the guerrillas. Santos said the military would reassess the suspension after one month. "We certainly are not going to give up bombing raids if we perceive an imminent threat," he said. "If in the course of our patrolling, carrying out our routine military control of an area, confrontations take place, those are the rules of the game." The Colombian conflict has killed 220,000 people since the Revolutionary Armed Forces of Colombia (FARC) was launched in 1964. Santos, who was elected to a second term in June on a pledge to end the war, also announced the creation of a peace commission made up of politicians from the right and left, former guerrillas, religious figures, business people and indigenous leaders. He said the panel's goal would be to advise him in what he called the final phase of the peace process. The FARC have repeatedly called for a bilateral ceasefire. But the government's chief peace negotiator, Humberto de la Calle, denied the president had given in to their demand. "This is not a bilateral ceasefire in disguise," he told a press conference Wednesday. "The security forces are not going to retreat. They're not going to suspend territorial control. We're talking about a suspension of bombing raids on the FARC. Outside of that, whatever else happens will meet with our firm decision to continue acting in accordance with the law." The peace talks in Havana, which began in November 2012, have produced partial accords on several issues, but have yet to yield a final deal. On Saturday, Colombia's government and FARC rebels announced they had reached a landmark agreement to work together on de-mining the country, which has the second-highest land mine casualty rate in the world after Afghanistan. Now in recess, the full-fledged talks are due to resume March 17. Political scientist Jaime Zuluaga said the process is going in the right direction. "This is a step forward, one of the most significant in recent months," he said. Analyst Ariel Avila of the Peace and Reconciliation Foundation said Santos is pressuring the rebels to negotiate. "It is what any president would have done," said Avila. Negotiators seeking to end the more than five-decade guerrilla war are under growing international pressure to guarantee justice for crimes committed during the conflict. Former UN secretary general Kofi Annan warned during a recent visit with both sides in Havana that the International Criminal Court could step in if the final peace deal did not bring justice for victims of the war. The FARC, with some 8,000 troops, admits its insurgency has affected civilians, but denies having committed crimes against humanity or violated international humanitarian law. 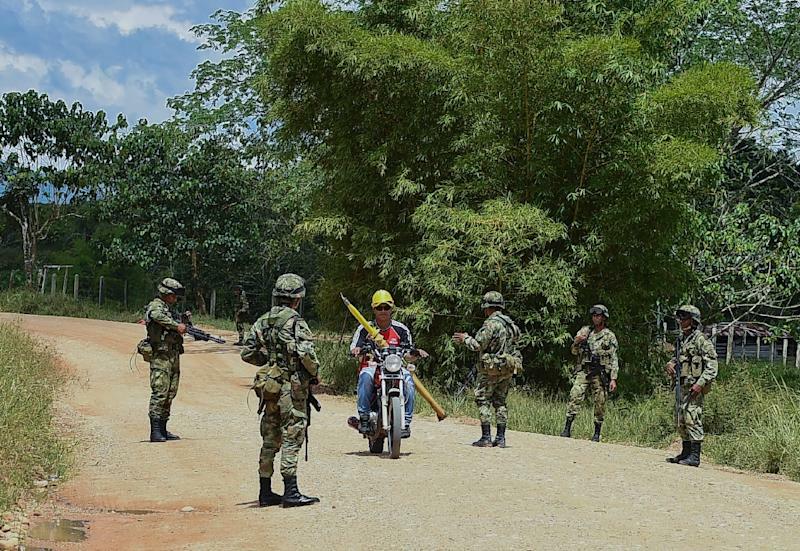 The National Liberation Army (ELN), a much smaller rebellion of about 2,500 fighters, is not part of the dialogue between the government and the FARC. But preliminary discussions on starting separate peace talks are under way. Still, the president Tuesday ordered a ramping up of military attacks against the ELN. He urged the ELN to "get on board the peace train."